OH WOW, I love how this session turned out. 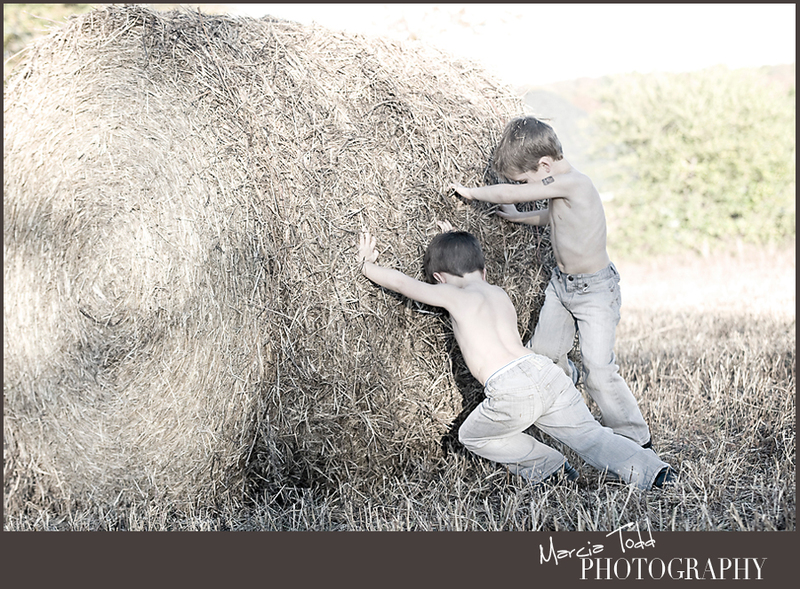 Eli & Cooper (yes, they're twins) were so cute and full of energy. 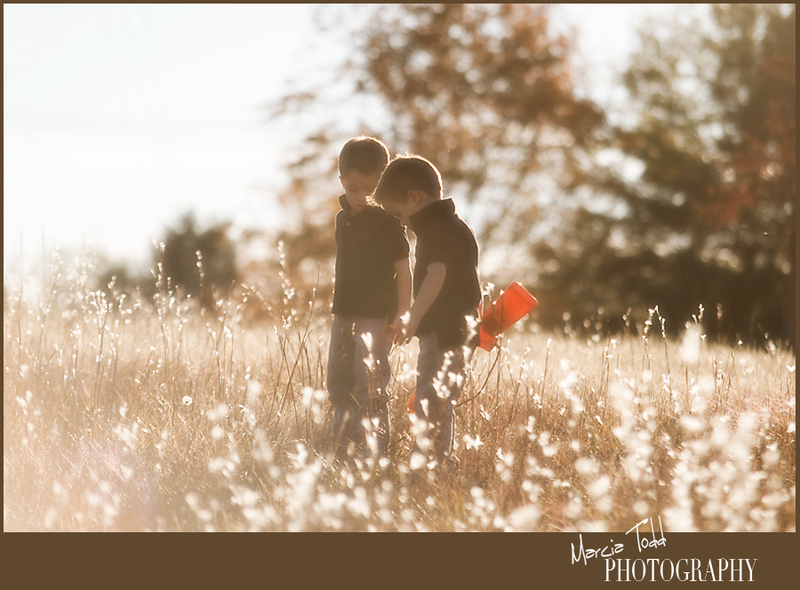 We made our way to their back yard and it was perfect, to say the least. 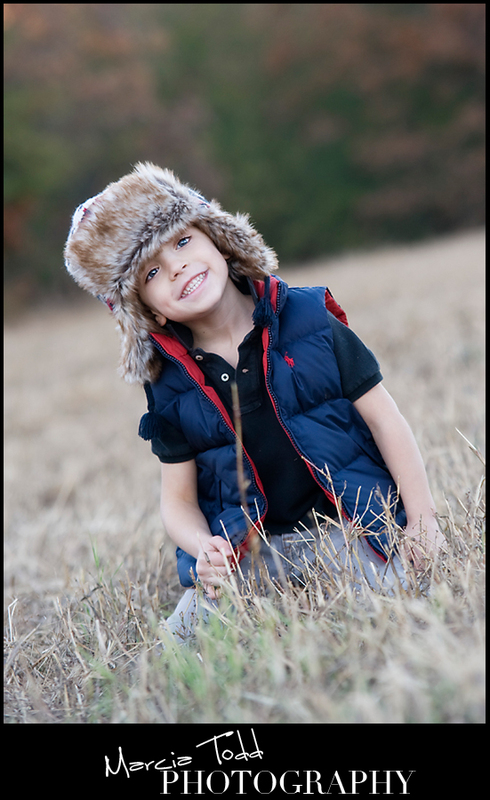 This is my new favorite photo.....Get a load of this light!!! 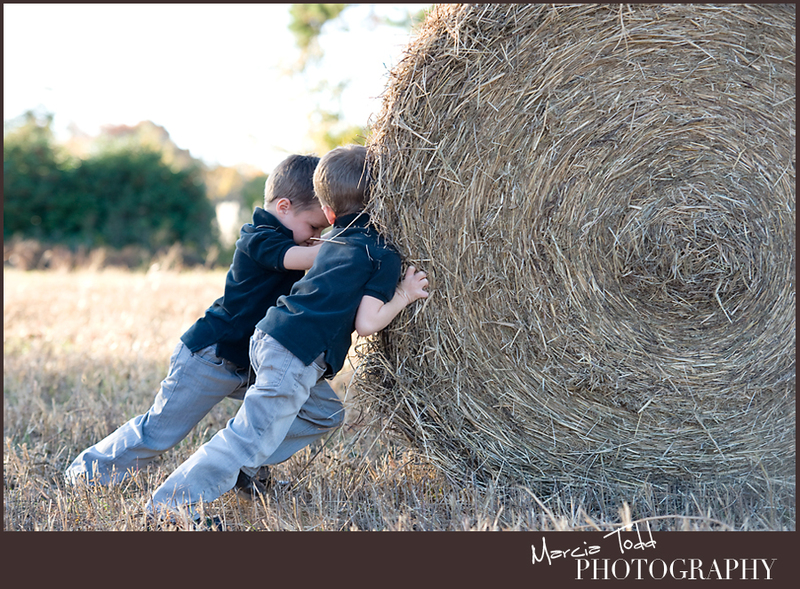 Made our way a little further back in their yard to some hay bales..the boys were convinced they could move it. 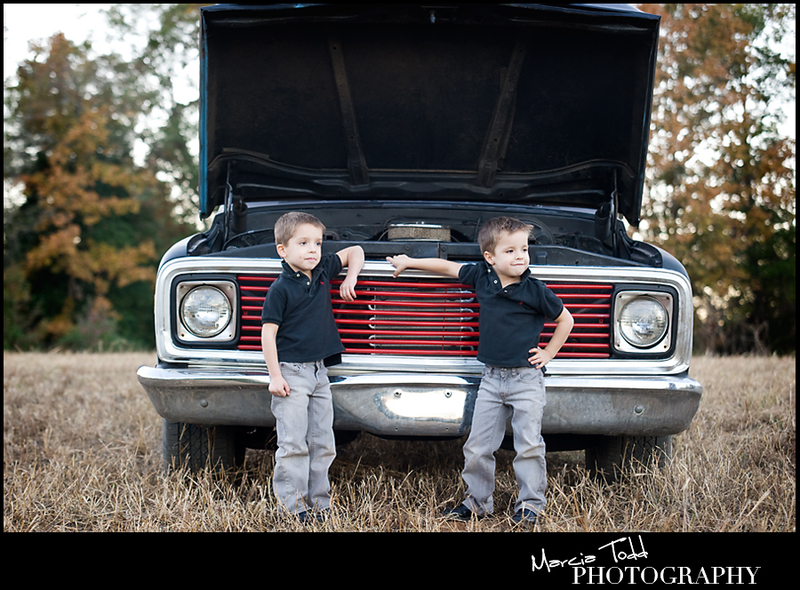 Next up, was dad's old truck that he's fixin' up - until then, it makes a nice toy for the boys! 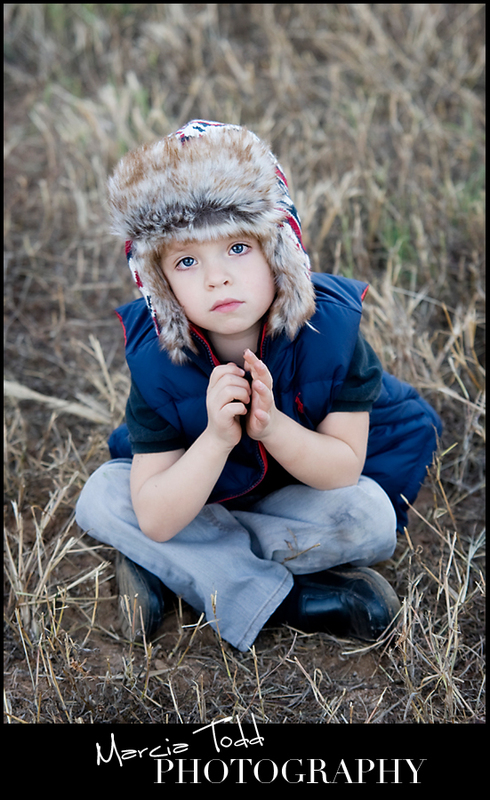 And if you thought this session couldn't get any cuter, mom brings out these adorable hats!